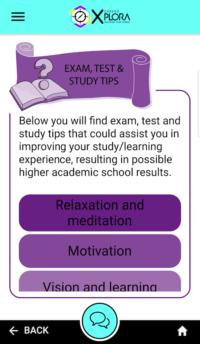 Are you one of the millions that don’t know what to do after school or what subjects to choose for future studies? Are these the types of questions going through your mind? 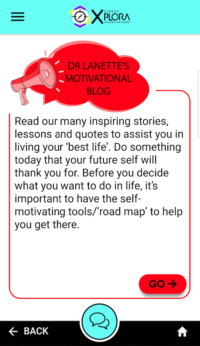 Should I study full time, part-time, take a gap year, work full-time or be an entrepreneur? Should I take Mathematics although I do not understand it? Is Economics compulsory for a B Com degree? Is Tourism a designated subject? 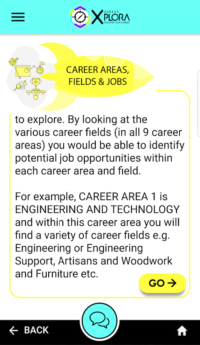 Where can I study Sound Engineering or Cosmetology? 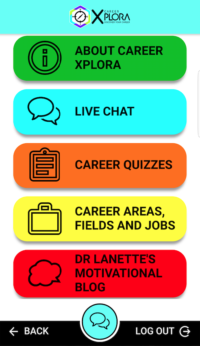 You can get answers to all these questions and more, as well as a better understanding of the world of work and where you fit into it by completing the career quiz on your cell phone! This is the first step in the right direction! 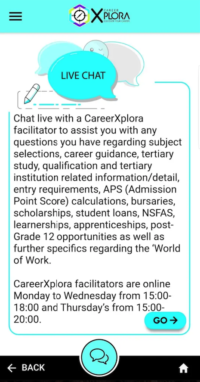 CareerXplora also offers a live chat service. 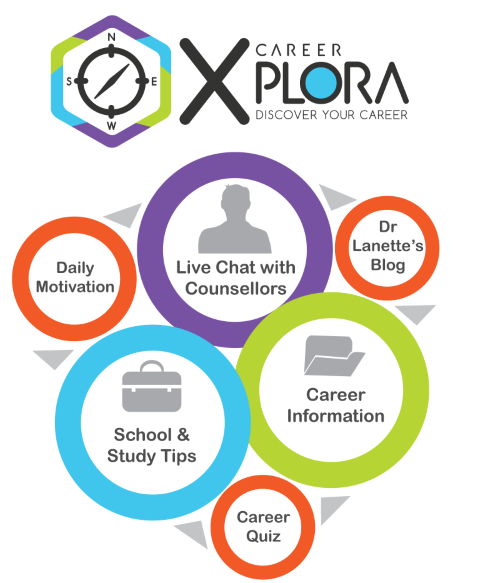 Please chat to our facilitators regarding any career-related questions you may have.